My weekends have been all about gardening. 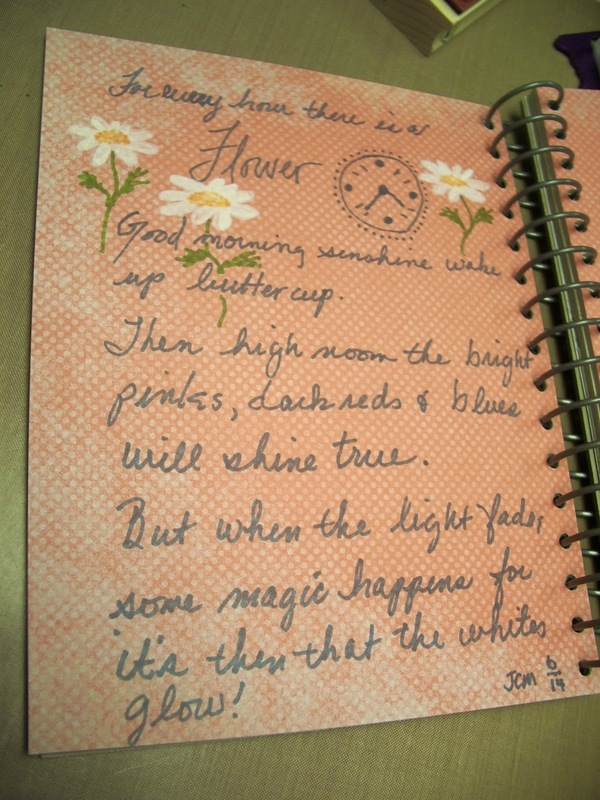 Even when I take a break I think about the gardens so it's of little surprise that this is what's spilling over into my Poetry Journal. 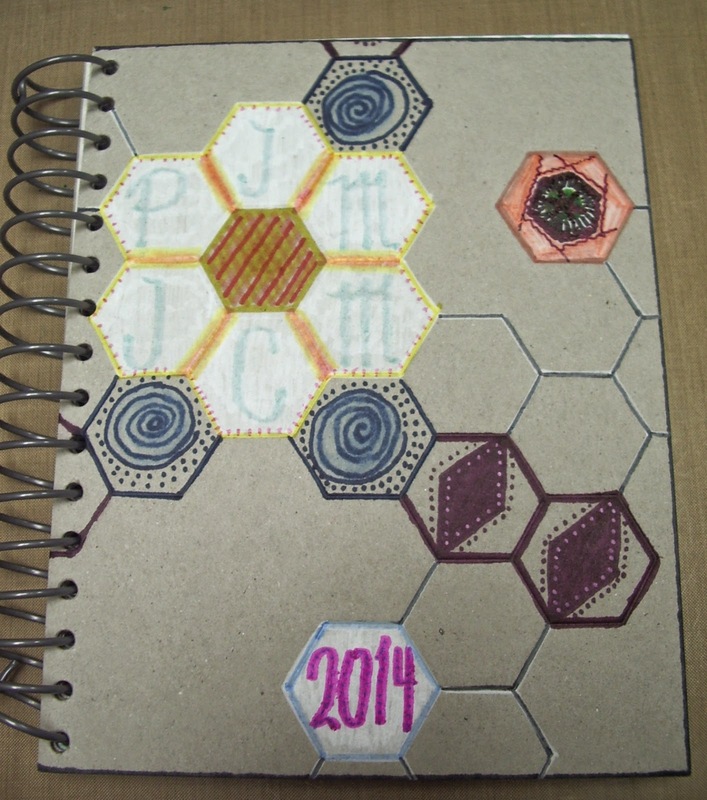 I started to decorate the cover of my Journal, there's still a way to go but here's where it's at for now. This page came about after an evening walk in the yard as the light was fading. I noticed that the coloured flowers were hard to see but the whites really stood out. for it's then that the whites glow! After almost a year of speculation as to what colour the Poppies in our garden are the first one bloomed and this was the inspiration for this page. 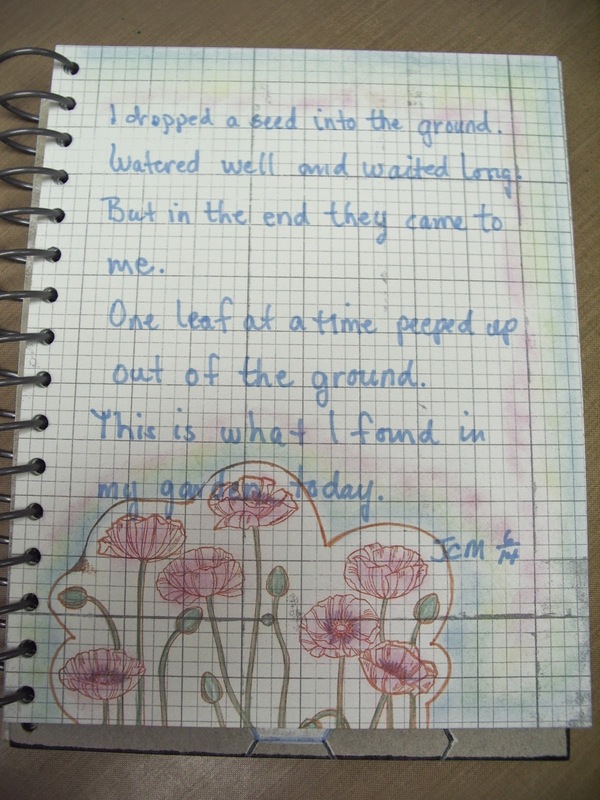 I dropped a seed into the ground, watered well and waited long. But in the end they to me. One leaf at a time peeped up out of the ground. This is what I found in my garden today. Thanks for stopping in I enjoyed your visit! Have a crafty day my friend! Lovely, Jutta. Both put me into your feelings at the time you walked through your gardens. Nice Jutta. The tone is so relaxed, just like time in a journal should be. I'm so glad you gave your inner critic, the boot! You really don't need her. :) This is lovely.